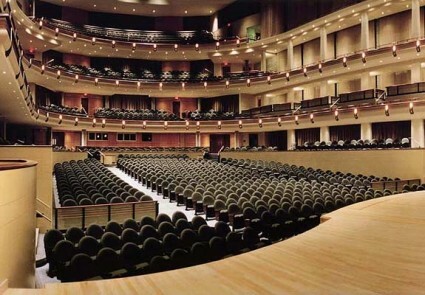 Almost eight weeks ago I learnt that one of The Edmonton Symphony Orchestra‘s 2010-11 Symphony Specials would be a performance of Frank Zappa compositions by a rock group fronted by two Zappa alumni – Ed Mann and Ike Willis – and backed by the ESO on Tuesday, March 15th, 2011 at 7:30pm at Edmonton’s Enmax Hall in the Winspear Centre (see above). Captain Beefheart, dead at 69. What do you think about the late Frank Zappa’s criticism of your work as simply “operating a guitar like a machine gun?” Do you think that Zappa was right when he said that the whole trend in the music business was that faster is better? I think he was just jealous! I toured with Frank, and while I’ve always enjoyed his recordings, on tour he would take very, very long guitar solos, and he just didn’t have what it takes to play long guitar solos. That said, he has every right to his opinions, and in earlier days, I’m sure he had some validity in his criticisms of my playing. I met John. I think he’s a great guitar player and I think that he’s probably done a lot to educate American audiences to some aspects of Eastern music that they wouldn’t have come into contact with before. We did a tour with McLaughlin and old Mahavishnu, we did 11 concerts with them. Steve Rosen: What about the contemporary heavies, like Jeff Beck or John McLaughlin? 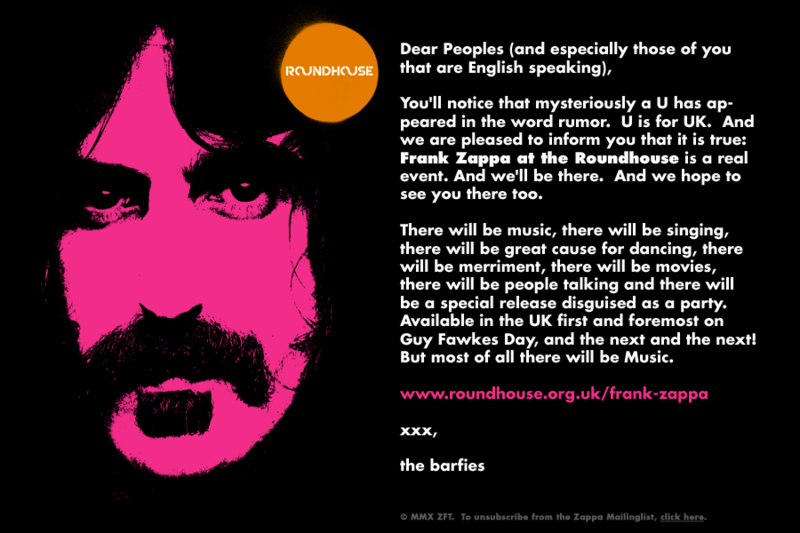 Zappa @ The Roundhouse, now with added Barfie Speak! Update Nov 8: An extensive review of this event is now available here! Tim Smith composer, principal songwriter, lead singer and guitarist of Cardiacs and other seminal music projects suffered a severe stroke in 2008. Two years on he continues to be treated in hospital. All profits from this album will go towards a fund to help get Tim home. The artists appearing have generously given their time and creativity freely. This is a testament to the love we all have for Tim. Your pre-order will entitle you to download a free, exclusive album of Tim’s songs covered by friends and family. 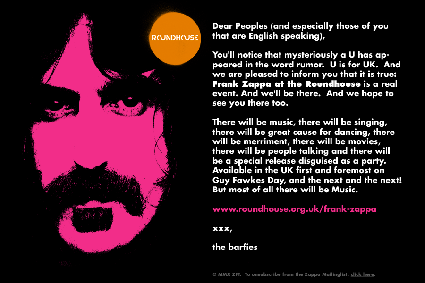 If you enjoy the music of Cardiacs and wish to support a worthy cause, pre-order today, why don’t you. 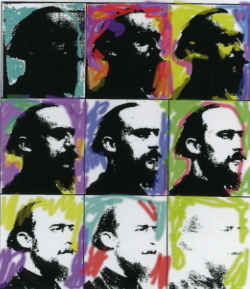 Arthur Jarvinen, musician, composer, founder of the California E.A.R. Unit, and music copyist for the late Frank Zappa, himself passed away on October 4th, 2010. 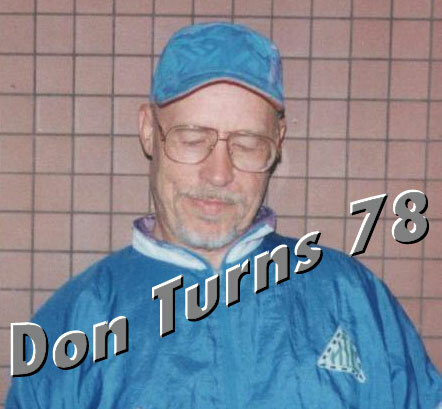 In a house that someone used to live in, little Donny Preston, also known as little Dom DeWilde or little Biff Debrie, was born on September 21st, 1932 in Flint, Michigan. September 19, 2010 marks the 25th anniversary of Zappa’s testimony on Capitol Hill and at Annapolis against the censorship of free expression by artists. 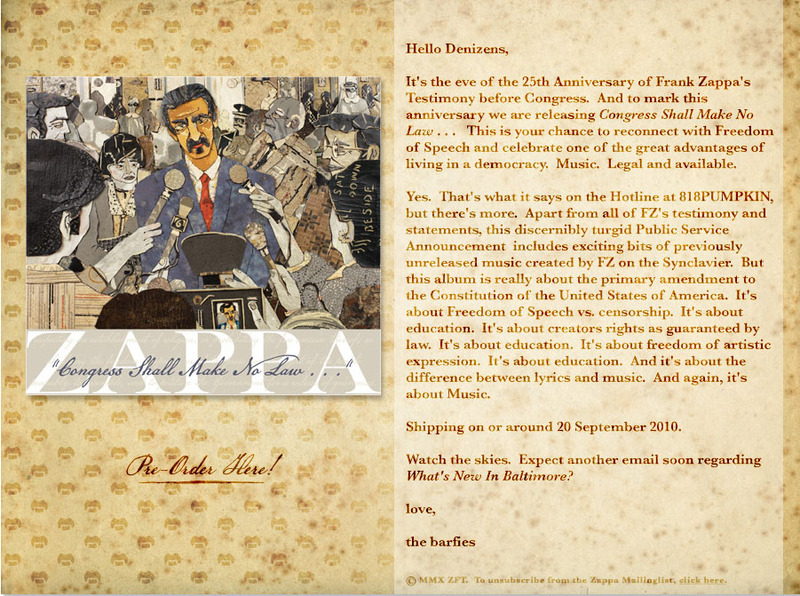 In commemoration of this event, Zappa Records is preparing to release ‘Congress Shall Make No Law,’ a CD containing Frank Zappa’s testimony. Update Sep 13 2010: Here’s the ZFT announcement as featured on their mailing-list from Sep 11, included for archival purposes. Pre-order link!